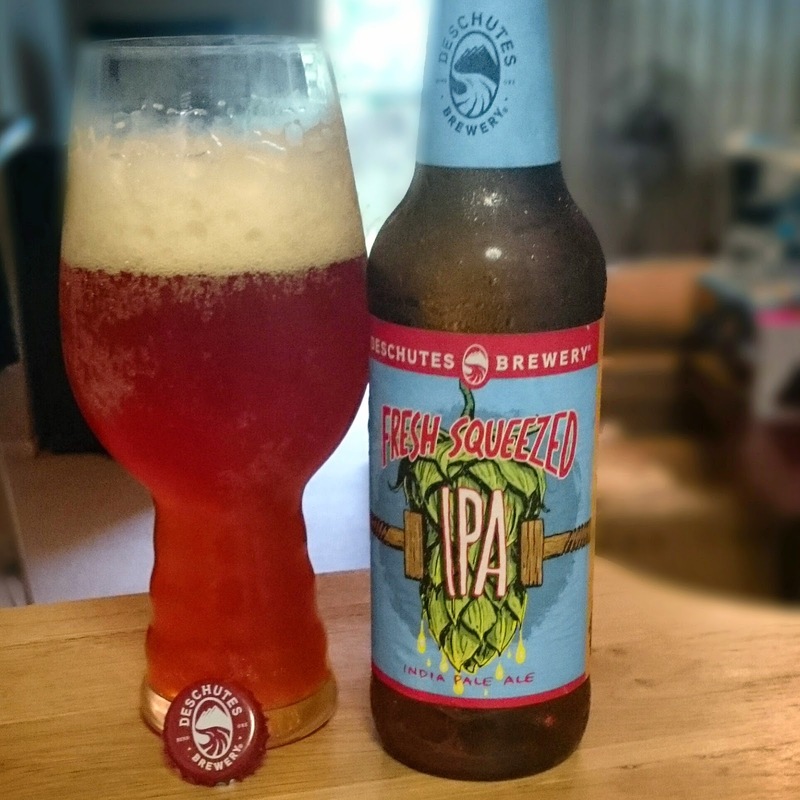 2014: The Beer That Was & Hoppy New Beer 2015! 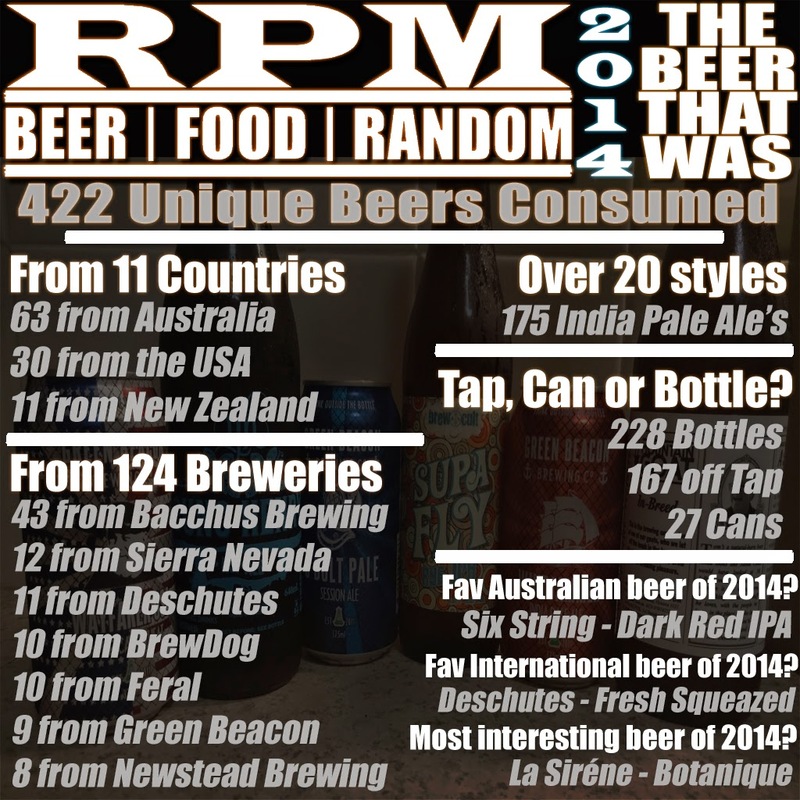 I posted the above image on instagram to give a break down of some of the stats from my 2014 beer spreadsheet so I'll re-post it here with some extra beer related information for 2014, including some of my favourite beers from the year. Clearly I drank far too much this year but it has highlighted to me that you can drink a beer a day (or more) and only drink from Australian breweries if you want and you won't get bored or run out of choice, it is an amazing time in the craftiverse! Favourite Australia Beer of the Year? This malt driven hoppy beast was a surprise to me after having it on tap so much so that when the cans were announced I searched high and low. Eventually I wrote a rant post about how hard it can be to find specific beers sometimes. But not being able to easily find it just made it all the sweeter when I did get my hands on a six pack of this beautiful Australian craft beer. If you are wanting to try this beer and live in Brisbane I would suggest trying Archive Beer Boutique in West End or Brewski on Caxton street (bar and take away) as they seem to have it more often than not. Favourite International beer of the Year? This is a no non-sense IPA with big a big fresh hoppy flavour but it still has a decent amount of malt, enough to give it a smooth, hoppy caramel finish. Since being announced as a year round brew (in the States) so we have started to see it here in Australia a lot more and you can find it right now at a few bottle shops around Brisbane. I last saw it at The Wine Emporium in Gasworks at Tenerife, just before Christmas so there might be some floating around! There has been a lot of great seasonal and new permanent release beers this year, certainly plenty to keep the beer nerd or IPA fiend filled with hoppy joy! Just to mention a few of the high lights from Aussie beer releases this year..
Boris from Feral Brewing: a Russian imperial stout sitting around 9% abv. and a super tasty stout at that and now a year round release for this great Aussie brewery. Two to the Valley IPA from Newstead Brewing: a tasty little IPA that is a great entry level beer for this style and in less than 12 months of being open in Brisbane the brewery is now selling this and many other staple brews in bottles from the cellar door and bottle shops around Brissy. 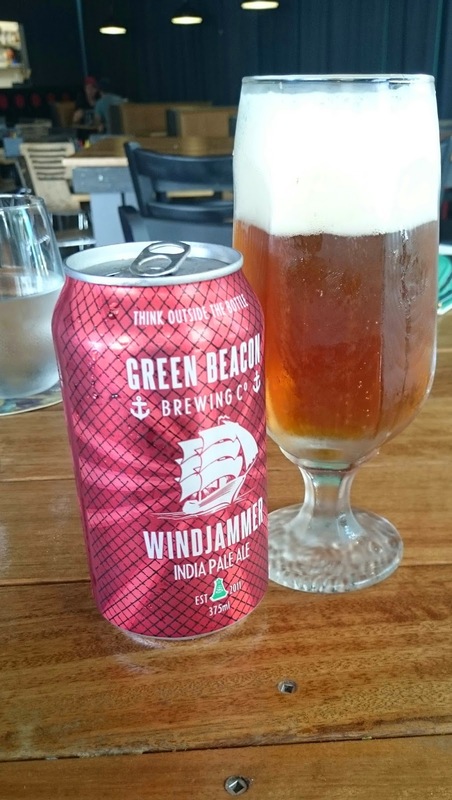 Wayfarer USA from Green Beacon Brewing, changing the formula slightly since it's inception this tasty Wheat Beer adds American hops and has become quite popular especially now that the Beacon brews are available in cans from their cellar door and bottle shops around Brisbane. Bacchus Brewing in Capalaba opened its cellar door early this year and they have a myriad of brews with 15 on tap at any one time and constant changes and additions of new brews almost daily in some cases, making this a place to check out if you are on the Redlands side of town. Early in January I will be adding "Beerientation" section aimed at the craft beer novice to help explain the basics of styles, taste and aroma and get you on your way as you begin your journey across the craftiverse! As well as also providing some insight on where to find certain beers and also recommend some for the novice and even a couple for the experienced craft drinker. So if any of the above seems too adventurous, never fear there will be a great list of local, national and international brews to start your adventure with all on this one blog! Cheers and Hoppy New Year. You'd be forgiven for thinking there wasn't much around the old Big Top site which has sat largely unchanged for the past 20+ years but the former shopping complex is undergoing a major face lift that should be completed in 2015. 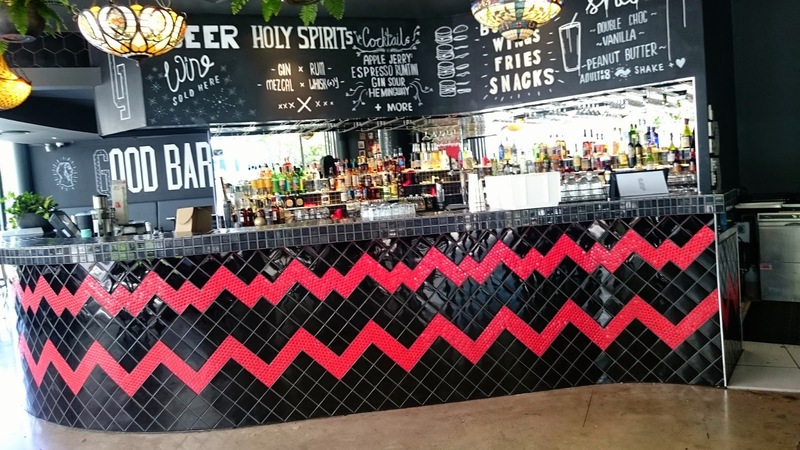 Despite all the construction going on, you can't miss this burger shop on Ocean St in Maroochydore because Hello Harry's is packed with diners. As I drove past looking for a park I realized that Hello Harry's had to be popular with locals and tourists as it was almost full of hungry burger eaters before it was even 12pm! With a no non-sense menu that is packed with tasty burgers (starting at $10!) 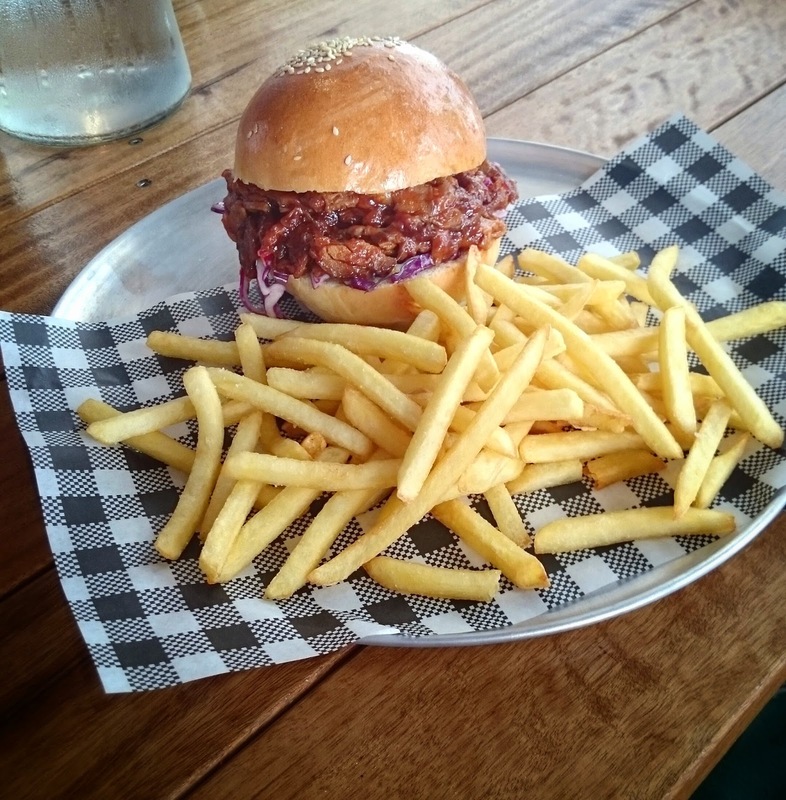 as well as a seemingly endless list of changing specials this new burger joint is a great addition to the Coast. I knew before I got there what I wanted and I wasn't going to change my mind (unless they ran out of beef but that's blasphemy). I went with Grass Fed Wagyu beef with double patties and bacon and I was not disappointed! 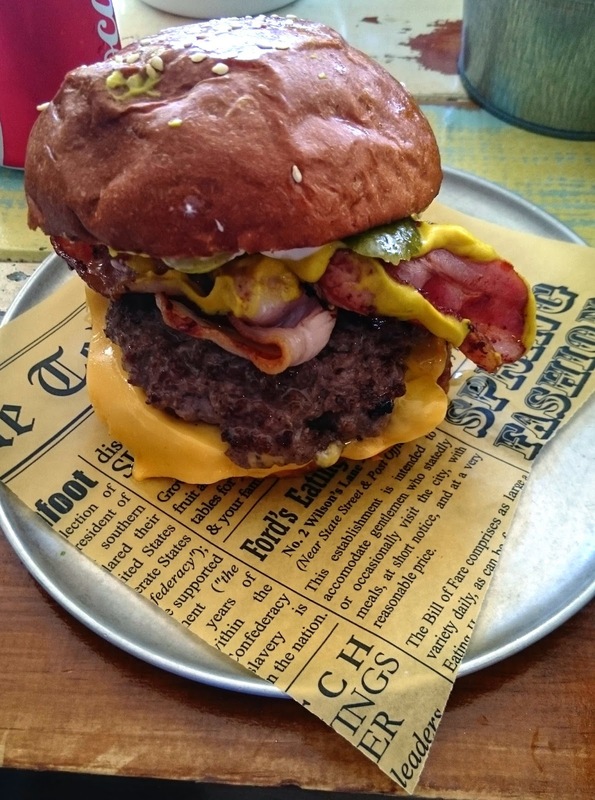 The burger came out looking ready to be devoured, bacon poking out and pickles gleaming away on their bed of beef and cheese. I was not disappointed as I consumed this tasty treat nestled between two halves of a house made brioche bun, mustard and mayo dripping out after each bite. You get messy here but that that seems like the point and with an entire role of paper towel on each table there is no reason to complain about a lack of napkins. 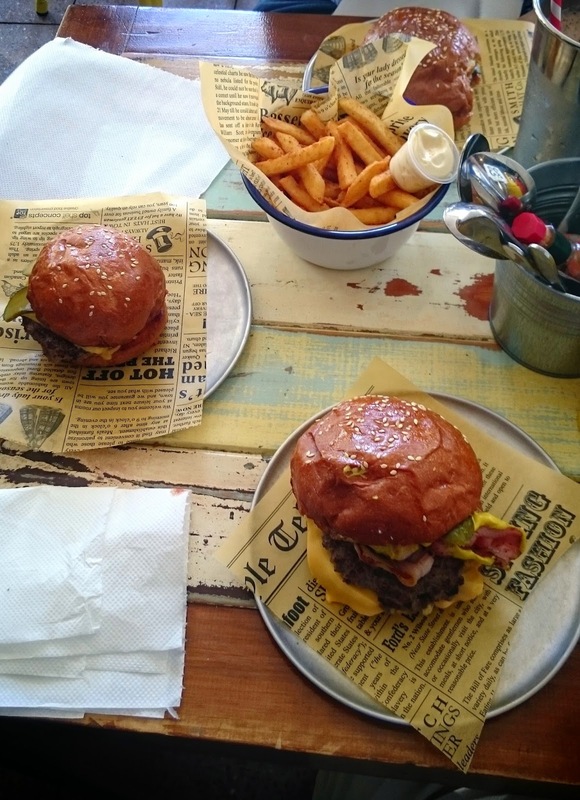 The chips are also tasty with a seasoning that was unfamiliar but that matched well with the burgers. You can get beer here, they have some Monteith's and some international lager's but really I wanted a burger and a shake and I got both in spades. The only negative I have to mention is that it was busy and the clearing of tables seemed to fall behind the wayside as I had to move someone elses mostly finished crap off the table and onto a spare seat to get it off our small table. It took about 20mins before it finally got cleared away from where I left it but they were clearly busy so I didn't think much of it. I will be back next time I'm up the coast and may even use it as an excuse to go more often with my eyes set on a triple beef next time. That is, if I can convince the Mrs I won't die eating it! I grew up on the Sunshine Coast but since working and living in Brisbane for most of my adult life I have not returned very often, it seems there is now a few more reasons to visit the Coast! 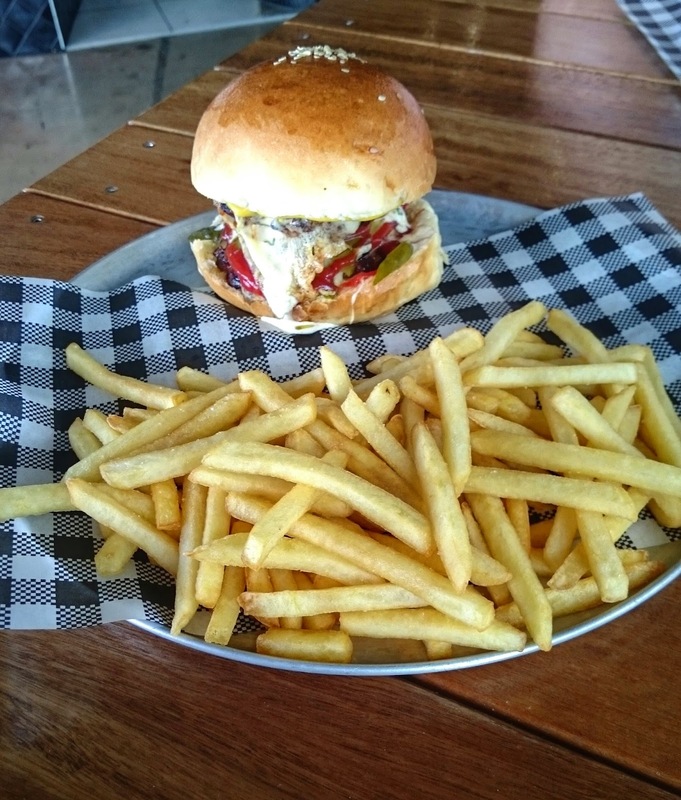 One of those reasons is Good Bar, located in the busy but beautiful sea side town of Mooloolaba just a street back from the beach this new addition to the Coast is pumping out some great American inspired grub matched with some great local beers. 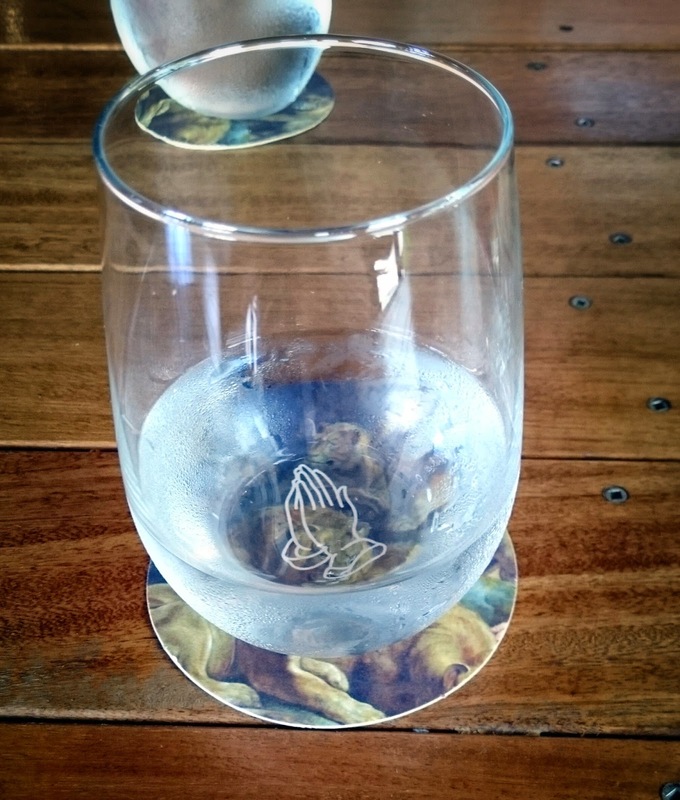 just water but cool coasters! Good Bar's menu and theme is focused around holyness and the "good" food with the coasters and menu items following the theme, like the Brisket burger which is called The Transcendence. 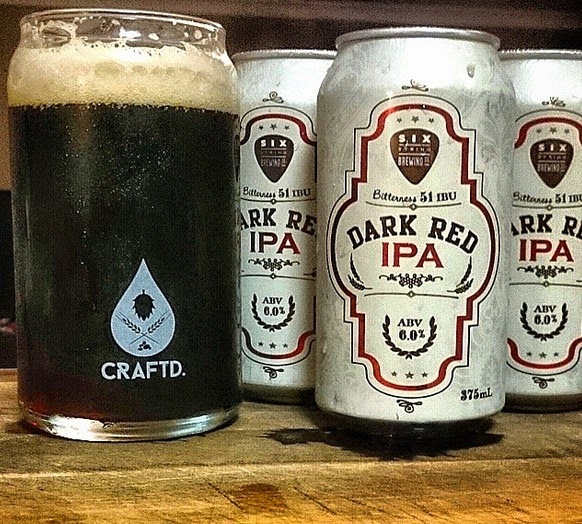 There is a growing selection of local and international craft beers with a focus on cans. This is good to see as there is still a lot of stigma attached to canned beer in Australia which stems from smashing down 12 cans of what ever flavourless lager you had on hand. The truth is cans are actually better as they let no light in (which can affect your brew) and travel better than their glass brethren. 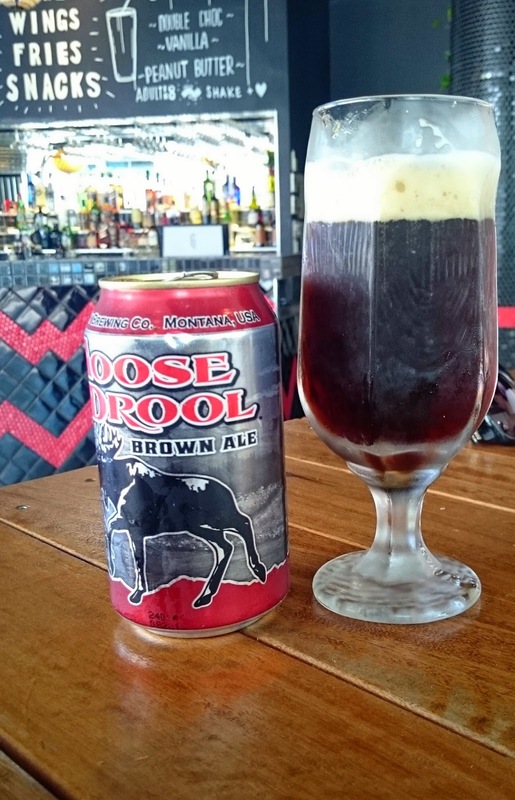 At the time I hadn't actually sampled any Brisbane's Green Beacon cans yet so was a no brainer to start with the tasty Windjammer IPA and moving on later to Moose Drool a well flavoured brown ale from Big Sky located in Montana in the USA. There wasn't any taps at the time but hopefully this comes later because it'd be great to see some Sunshine Coast Brewery on tap in a local bar or even more beer from Brisbane. I ordered The Good Burger, a beef burger with two patties, cheese, ranch, pickles and ketchup. The rest of my party ordered The Transcendence (Briskett), The Carolina Crusade (pulled Pork) and The Good Reuben (Pastrami sandwhich). All the burgers come on soft and fluffy brioche bun's which work fairly well and each burger was generously portioned with meat with prices ranging from $13-16 and each coming with fries. I feel the only thing that was missing off the menu (that is usually a staple) is the ability to add bacon, but other than adding it to the beef burger you don't really need it so it's not too disappointing to live without the deliciousness of bacon for a meal. My burger was juicy and tasty although it seemed more like mustard than ranch which isn't a bad thing as it just reminded me of a really good double cheese burger, with tasty mustard and pickles which is one of my favourite things to eat. 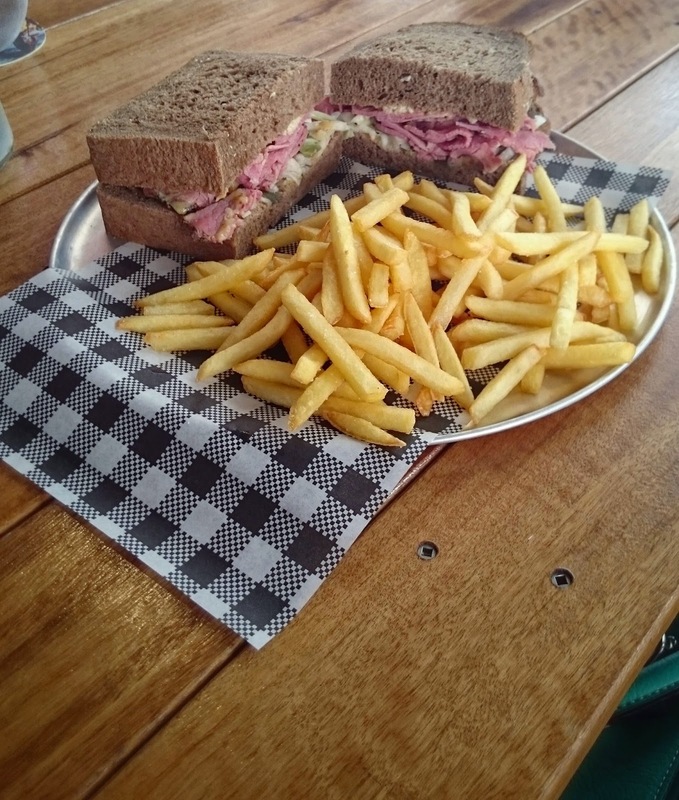 All the other burgers went down well from what the rest of my group said, the only negative is that the Reuben seems to have some seriously thick bread, possibly too thick for the amount of meat. What we had is really just the beginning of the menu which contains heaps of awesome sounding meals, snacks, sweets and shakes. From peppers stuffed with chorizo and goats cheese to a Peanut Butter Jelly shake to Pumpkin Pie but all of this just gives me an excuse to revisit next time I'm up the coast. 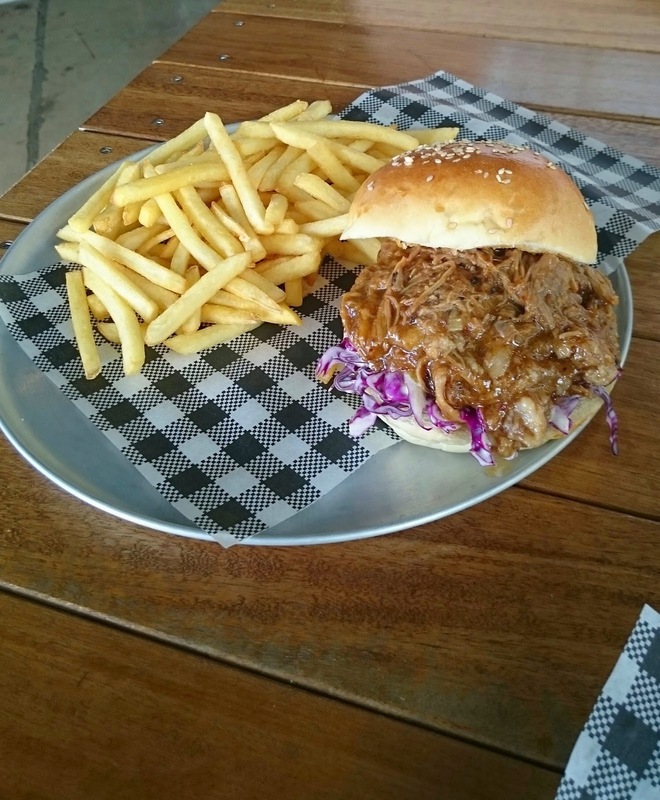 It's great to see so many new options for food and beer popping up on the coast as they have done in Brisbane, I may have to go up more often! 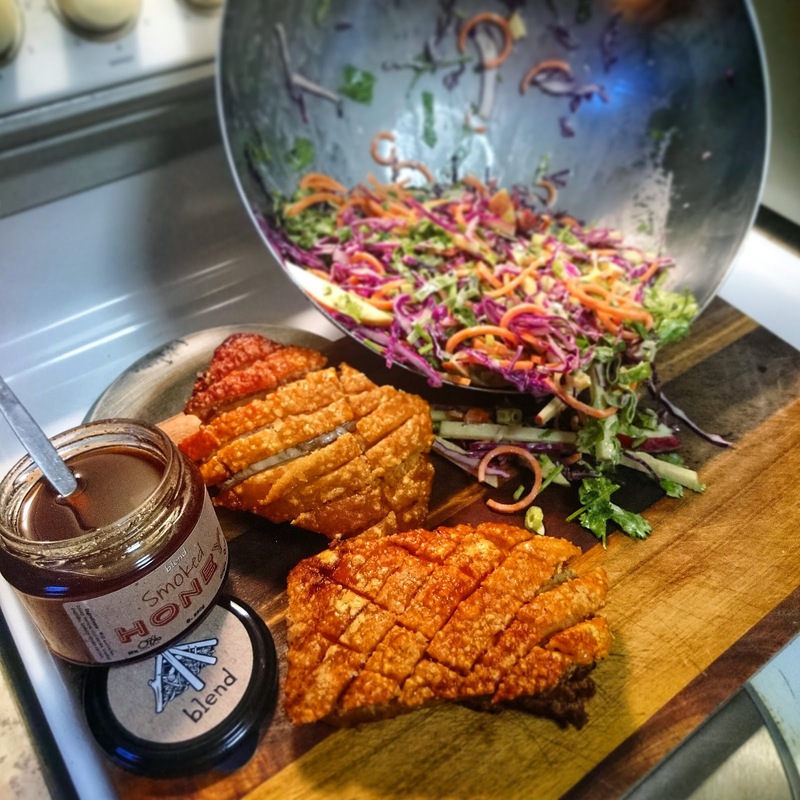 After putting my pork belly photo on Instagram last week I had a few queries about how I made the crackling so perfect, it is in fact really simple and perfect for a quick meal when you want pork but don't have a lot of time. I've added the Recipe to the "Meat" section.